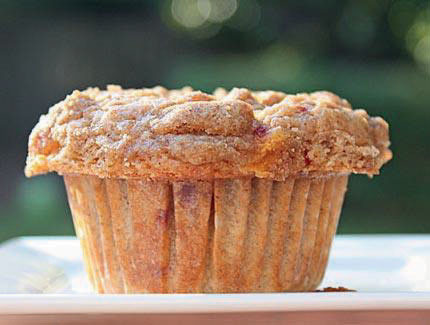 Peach Muffins | Louisiana Grown | Real. Fresh. Preheat oven to 350 degrees. Coat 12-cup muffin tin with cooking spray and set aside. Divide the batter evenly among the muffin tin cups. Bake until golden and a toothpick comes out clean from muffin center, about 30-35 min.